Things have not been great for fans of football videogames, and that is the American kind I'm talking about. Throwing the ol' digital pigskin around hasn't been bad, per se, for EA has done a fine job of recreating the American sport in the Madden franchise, but sometimes the same-old, same-old can be just that. Since no one else is making licensed football games, it's easy to think that something might be missing from such a monopolized genre. 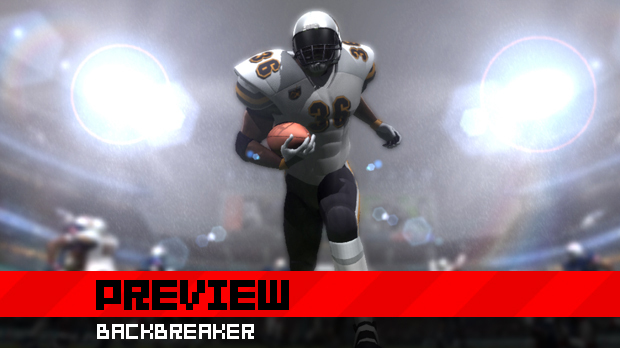 So that brings us to Backbreaker, a good ol' football game designed by... NaturalMotion. Excuse the ellipses, but NaturalMotion is an English company. From England. And they don't have the rights to the NFL. And they are English. What would they know about American football? Well, if anything, they certainly know how to mix things up. With a very dynamic, Gears of War-inspired, over-the-shoulder camera; a reasonably powerful team creation tool; and the application of the always interesting Euphoria Engine, NaturalMotion might just offer enough of an outsider's perspective to shake things up. Hit the jump for my impressions. The most important element of Backbreaker is the inclusion of the Euphoria Engine. 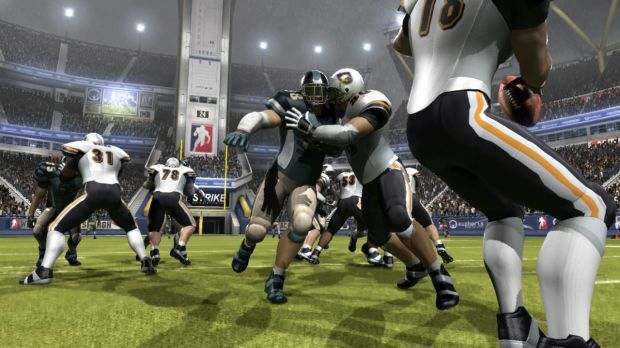 Famous for its application in Star Wars: The Force Unleashed and Grand Theft Auto IV, the Euphoria Engine was built by NaturalMotion, so if there is a company that could make a football game that rocked this tech, it would certainly be them. So what do you get with this? Well, Euphoria renders collisions in real time, so there are absolutely no pre-canned tackles and animations. Everything is built on the fly, so every tackle is going to look and feel different from the one before. In practice, it looks pretty cool, with guys falling on top of each other just as you would expect according to the laws of physics. Beside Euphoria, what will immediately catch gamers off guard will be the camera. Instead of using the typical wide-angle camera above the field, the camera is right above the shoulder of the player you are controlling. When they run, there is the camera wobble many players of over-the-shoulder third-person shooters would recognize, and being on the field is a intense as you would expect. It's fast and heavy, and it is pretty cool to have such an in-depth perspective on the field. Those worried that this perspective will make the game unplayable should not be. The AI is designed to place you in control of the appropriate player in a particular situation. Controls, too, are streamlined. The right stick controls many of the actions of the players. A flick up, for example, will throw a pass to a highlighted player, and you'll take over from there. A quick tap of the R-trigger will send the player into a much more aggressive rush. It's a pretty streamlined system for the player, and button presses will be minimized with everything much more contextualized. Defense, too, has been simplified: players will be in control of setting up defensive teammates to cover as much of the field as possible. For those with a very hands-off approach, Coach Cam will let the game play itself as you pick plays. This streamlined approach applies to the difficulty modes. For everyone new to the way Backbreaker plays, Arcade Mode is the way to go. Plays are reduced to four: Pass, Run, Special, and Ask Coach; characters to whom the ball can be thrown are highlighted; and gamers can focus on just enjoying the game. Pro Mode, in contrast, lets you pick and choose specific plays, and the highlighting system will no longer be on the field. Now the big elephant in the room, like you would expect, is the lack of an NFL license. 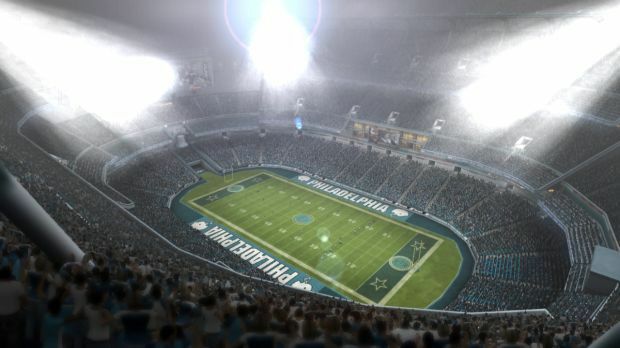 That, unfortunately, has not changed, so what you can expect here are 60 unique teams designed from the ground up, with 13 stadiums to choose from. While the teams themselves are fine, it is the stadiums that are much more interesting. San Francisco's stadium, for example, is a bestial arena with gigantic towers representing the Golden Gate Bridge. The teams themselves were designed with the same creation tool that is in the game. This is pretty impressive, as many of the teams have very detailed and unique logos, mascots, uniforms and end zones, all of which can be built in the game. With up to 500 layers to be applied to these teams, there is a lot of flexibility for those willing to invest the time in creating their own teams. As far as single-player goes, there are a few different options. You can enter into a basic season mode, with options to choose 8, 16, or 32 teams in a league. This is all fine and good, but more interesting is the "Road to Backbreaker" mode. Here is where you will build your custom team and really make things your own. Finally, there are some minigames that should help break up the main game itself, such as "Tackle Alley," from the studio's highly successful iPhone app. Coming away from Backbreaker, I have to say that it is fairly impressive. It's a good looking game, and with the addition of the Euphoria Engine, the animations are truly lifelike. Nothing feels canned, and every hit has solid weight behind it. While the lack of official teams and rosters is always going to be a drag, I have to say that the fairly powerful creation tool means it will be easy enough to recreate your favorite teams and players. Also, there is something cool about having the game be made by a team that has a bit of an outsider's perspective. 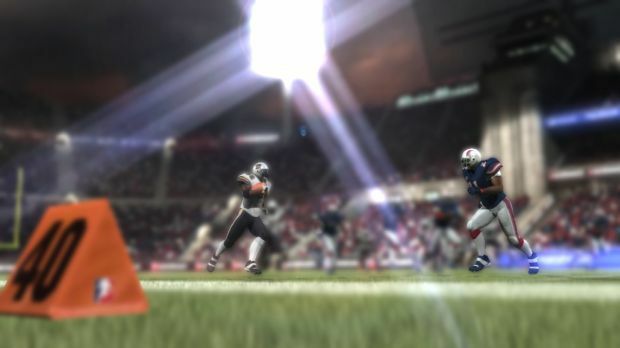 Sure, it's surprising that NaturalMotion is the team behind an American football game, but they just might be onto something in mixing things up.